In 2008, UNDP Office in Montenegro launched the project 'Personal documentation - first step toward equality' with financial support from the Swedish International Development Cooperation Agency (SIDA). This national project is a part of a wider regional project, managed by the UNDP Regional Centre in Bratislava. With the financial support of the missions of the Open SocietyFoundations to Montenegro and guided by the best practices and already adopted local plan for Roma integration in Herceg Novi, NGO Young Roma decided to expand its activities in neighboring municipalities. This project was implemented by CEDEM in cooperation with organizations UNO Libertask, Humanitarian and Young Roma within the MTM program which was aimed at improving the availability of EU funds to Roma organizations and improve Roma inclusion in Montenegrin society. The project is financially supported by the Open Society Foundation in Budapest. Campaign "I AM ROMA, TOO" was organized on the occasion of the 8th of April, International Roma Day. The campaign was organized with the aim to emphasize the importance of Roma declaring their nationality at the Census of Population and Housing in 2011. The campaign was conducted with financial support of Open Society Foundation and in cooperation with the Roma Council and NGO Roma Circle. Young Roma in cooperation with non-governmental organizations 'Youth to You' and 'UM RAE' had carried out a joint campaign of lobbying and advocacy for greater employability of young people from vulnerable groups. Although active in the protection of Roma population for 10 years, many activities of the Young Roma remained unknown to wider audience in Montenegro due to undeveloped visibility and communication strategy. This project, supported by the Municipality of Herceg Novi, aims to provide adult Roma with elementary literacy skills in order to facilitate their daily life and accelerate their integration into the Montenegrin society. The target group of the project is 20 adult Roma men and women who live in Herceg Novi. The aim of the project "Dorra Nuova" is to strengthen the employability of Romani women in Herceg Novi through the provision of space and materials for handcrafting and selling unique jewelery. NGO Young Roma, in cooperation with the Employment Agency launched a four-month Training program for making and selling jewellery, starting from 1 April. Funds for this project were provided through the public works program of the Employment Agency. The action aims to set up afacilitating structure for (pro) Roma civil society to actively participate in the local and national policy and decision making process and establish a constructive and systematic dialogue with authorities and Roma NGOs/CBOs to influence policies on Roma integration, social inclusion, non-discrimination, interethnic dialogue, socio-economic development and citizens’ rights. Strengthening capacities of Roma for public activism – United we reach more! National Strategy for improving the position of Roma and Egyptians 2012 – 2016 and supporting action plans at national and local level embrace the stance that improvement of position of Roma population is hardly achievable without their appropriate participation in public life. The project "Support to social protection and employment of Roma" is the continuation of the project "Personal documents - the first step towards equality 3", which was conducted in cooperation with the UNDP Office in Montenegro from November 2013 to March 2015. NGO Young Roma, in cooperation with debate club “Agora”, is starting with the implementation of project “Beat your prejudice!”, that will last till May of 2017. Project is financed by the Embassy of the United States - Podgorica, through Democracy Commission Small Grants Program. Herceg Novi was the host "The Roma Wedding"o held n the occasion of the International Roma Day. The play had its premiere in Niksic and then it was performed in Podgorica. The purpose of the show is to promote Romani culture, customs and traditions, but also to increase awareness of the citizens of Montenegro on this population. The play was organised in the cooperation of NGO Young Roma, NGO Romani Dream and the Municipality of Herceg Novi. NGO Young Roma will start the implementation within the project “Roaming – Capacity Building of Roma Organization’s on EU Funding and Partnership Building” . Project will start on 01/09/2016 and will last till 01/09/2017. The aim of the project is to secure durable housing solutions for 23 members of the Roma community in Herceg Novi as a tool for inclusion of the targeted groups in to the Montenegrin society. This will be done in full respect of existing strategies and national action plans and other relevant documents. NGO Young Roma in partnership with the NGO Hands from HercegNovi, started with implementation of the project "Increasing employability of long-term unemployed women - DorraNuova". 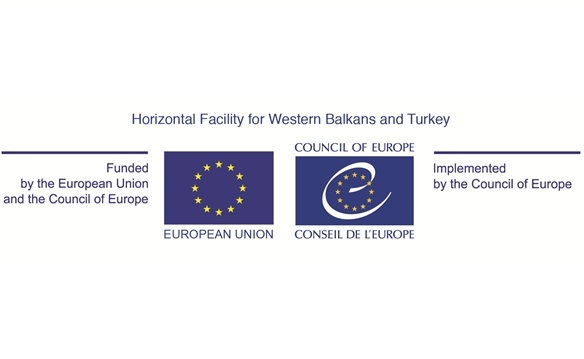 Project is supported by the Ministry of Finance through the funds of the European Union. This pilot project will include 24 long-term unemployed women from the territory of Kotor, Herceg Novi and Tivat. The Norwegian Embassy in Belgrade awarded institutional grant to our organization within the call "Strengthening civil society in Serbia and Montenegro." This Call aims to finance the functioning of civil society organisations in their work through so-called core funding. NGO Young Roma, in January 2017 started with the implementation of the project "Together for the inclusion of Roma and Egyptians through transparent and sustainable public policies". Project is related to monitoring of policies aimed at the integration of Roma and Egyptians in the Montenegrin society as well as the monitoring of the budget allocation for the measures aimed to Roma and Egyptians integration. The Project Waste no chance! aims to contribute to labour inclusion and better working conditions of Roma waste collectors. It will provide capacity building of one of the most endangered group of unemployed persons belonging to Roma minority and offer sustainable solutions and institutional mechanisms in that regard. 3) Developed local partnership between waste collectors, business companies and local authorities.